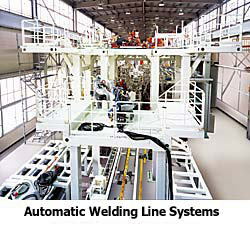 In 1972, Sanyo Machine Works developed Japan's first Gate Line System, a small-lot-varietyproduction line for body assembly, and successfully established the foundation of the current automatic welding system. We propose a wide range of engineering solutions that promise great investment returns by making the body welding lines cover the subassembly line (door, roof, sidebody, underbody, etc.) 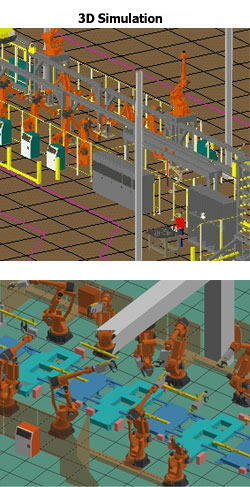 through to the main body line, as well as the hemming line, while fully utilizing our 3D simulation technique to continue creating new valuable products.